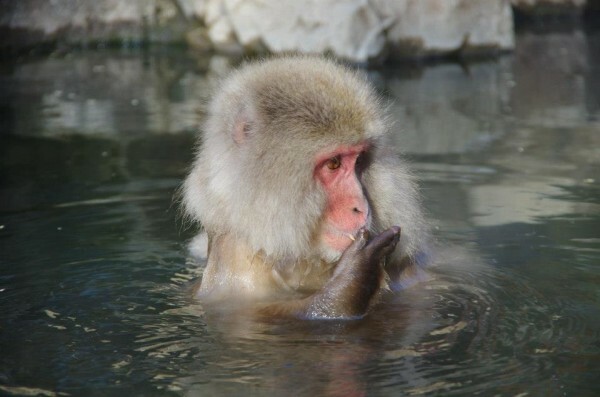 On the weekend of March 22nd/23rd as part of our regular program of weekend field trips the plan is to head to Nagano again to see the snow monkeys at Jigokudani and then to enjoy some Heliskiing at Tsugaike in the Hakuba valley. 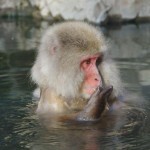 The monkeys are fascinating (no you can not get into the onsen with them), and are a short walk from Shiga Kogen. We will be visiting Komagane, Matsumoto Castle and the underground tunnels of the World War II Imperial Headquarters on the way. On the Sunday, the heliskiing is optional, but there is no easier way to get into the vast back country on the Tsugaike ridge. A beautiful wilderness area of deep snow, way above the treeline, the views are majestic. You don’t need to be an advanced skier to enjoy the trip.